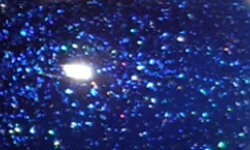 I was not a fan of the holo glitters Zoya released last holiday season. One of the complaints I had was maybe it was the color of the polishes I didn't care for, and that if the finish had a different color attached to it I would like it more. I'm happy to say this was the case. I'm also happy the L.A. Girl took a stab at holo glitters. Yay, for awesome affordable nail polish. Brilliant Blue is a royal blue base with scattered holographic glitter throughout. Color: Gorgeous! I love a rich blue. I'm such a sucker for a great blue, and the addition of this holo glitter is stunning. I typically don't like a holo glitter, but this blended in nicely with the base where it looks meant to be if that makes sense. Formula: This is sheer. That is my downside to this polish. I used 3 coats above, and I think 4 would even make it better. Price: I paid $4.00 for this on the Cherry Culture website. Overall: Gorgeous rich blue polish. I love the holographic glitter, and I'd call this a must have. 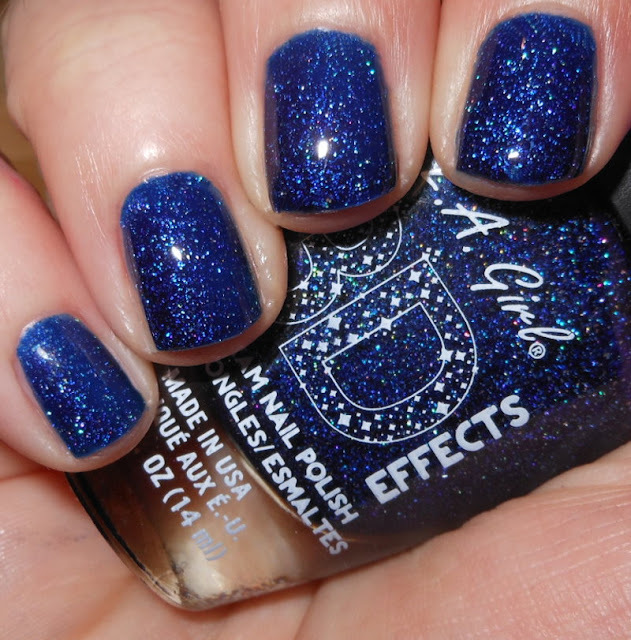 This a great polish for holiday time too. I don't like sheer polishes much, but this one is pretty! I didn't see this blue but I grabbed the fuchsia and orange in the summer and was surprised at how awesome they were! I'll have to look for the blue! I am really kicking myself for not buying any of these when I saw them. This is soooooo pretty! Cherry Culture is having a sale right now too. Let me go sneak a peek.